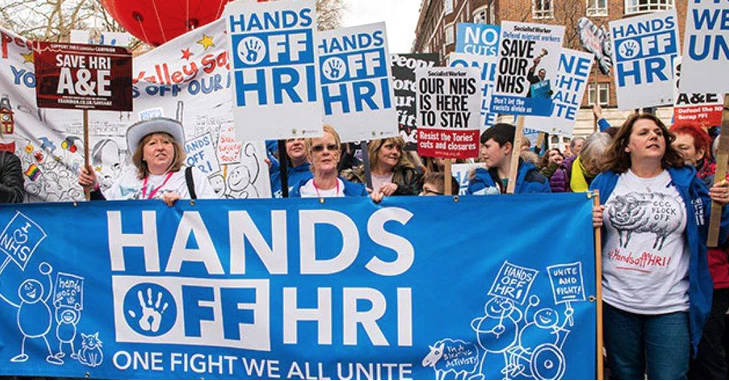 Communities across the country are coming together to defend the NHS through legal action. Thousands of CrowdJustice backers have supported these cases and others, halting cuts to services, challenging decisions that will impact the care given on the ground and highlighting the real-world impact of policy decisions. In an on-going CrowdJustice case, campaigners are battling changes to Corby’s Urgent Care Centre. The Clinical Commissioning Group (CCG) are attempting to repurpose the service so as to transform the walk-in unit to an appoint-only centre for Corby residents. There are 19 days to go in their campaign. Another local campaign is challenging proposals by the Calderdale and Huddersfield NHS Foundation Trust would see Huddersfield Royal Infirmary closed down - and campaigners are fighting hard against proposals that they claim would ‘result in real life threatening issues for patient safety and an increased burden on the most vulnerable groups in our society’. Their CrowdJustice campaign has raised nearly £16,000 of its £20,000 stretch target and the case is ongoing. Dr Bawa-Garba was convicted of manslaughter based partly on evidence from her own self-appraisal. CrowdJustice backers raised over £300,000 in a matter of days after thousands and thousands of doctors said #IamHadiza, citing her as a scapegoat for systemic failures in the NHS. As a result, Dr Bawa-Garba has been able to seek expert legal opinion and is building a new legal team to challenge the decision. Dr. Chris Day was one of the earliest people to stand up for NHS whistle-blowers on CrowdJustice. 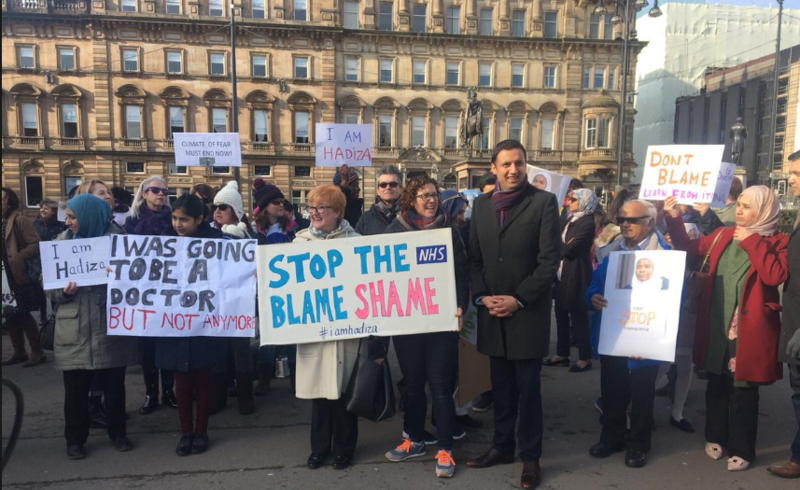 Dr Day went to court after he was dismissed for whistle-blowing on an Intensive Care Unit that did not adhere to national standards on staffing levels. 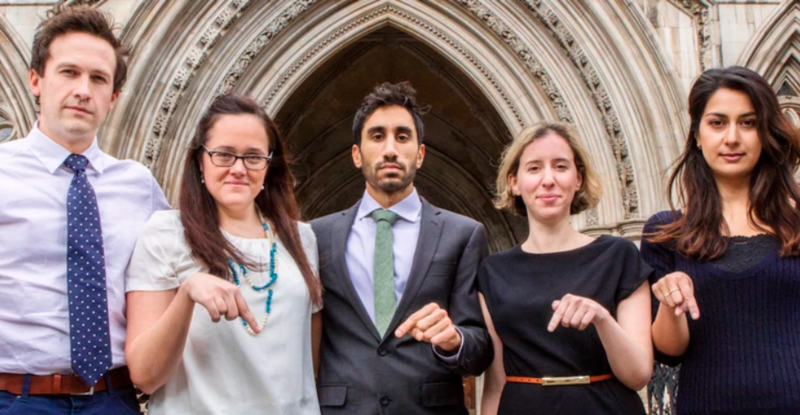 The court heard that 54,000 trainee doctors did not have access to whistleblowing protection - and Dr Day won in the Court of Appeal in a victory that he described as ‘huge for patients and the transparency of the NHS’. Others have followed, although he is an award-winning paediatric surgeon and associate professor in paediatric surgery, Edwin Jesudason was not protected when he blew the whistle on failures at the Alder Hey Hospital. The Liverpool Employment Tribunal (ET) argued that Mr. Jesudason was not entitled to whistleblowing protection - a decision he is challenging on CrowdJustice. Jesudason was forced to move abroad due to the fact that he has been denied work as a result of his decision to blow the whistle on decisions that he claims have directly led to the deaths of children. 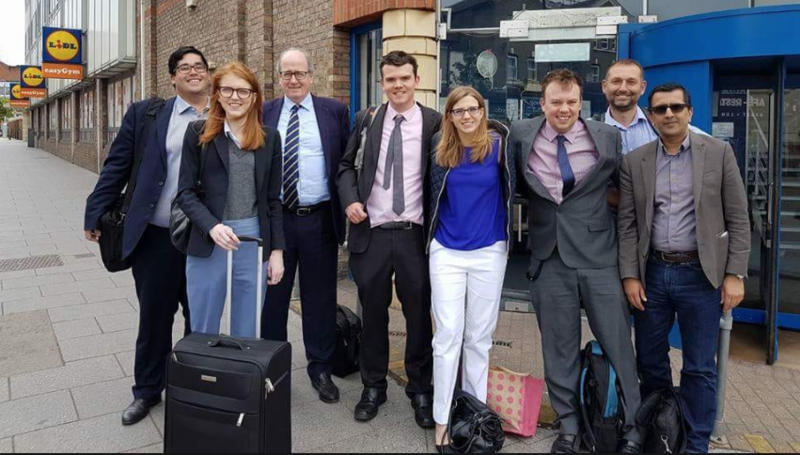 A judicial review brought by a group of five junior doctors was able to get off the ground with a top legal team as a result of a hugely successful campaign on CrowdJustice. In the High Court, they challenged Health Secretary Jeremy Hunt’s power to impose ‘unplanned and dangerous’ contracts on junior doctors and were able to claim a victory when the Depart of Health admitted they didn’t have the authority to impose the new Junior Doctors contract.